By definition, 3-0 is early in the set, so the word is not necessary. It’s a detail, but it indicates that the sub is not thinking about every word. This is another example of the prevalent ignorance about the natural world. 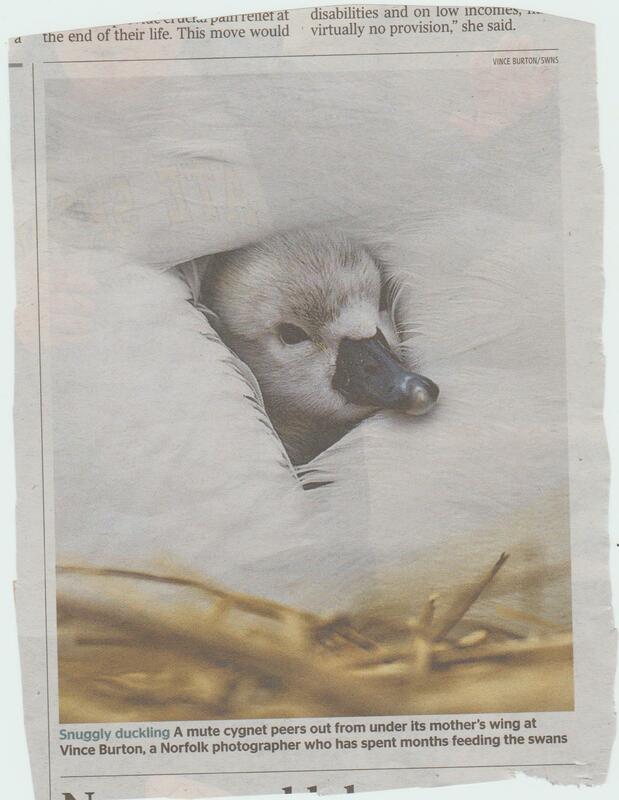 You can’t call a cygnet a duckling. It is like putting ‘lamb’ on a caption about a calf. ‘Mute cygnet’ reads very oddly. In fact there is no need to identify it as a mute swan, because this is by far the most common species in this country. You would only need to put the species if it is not a mute swan. So ‘cygnet’ is perfectly adequate. I feel the word ‘peeps’ would be better than ‘peers’. which solves both problems and is a good fit. Here’s an idea: let’s not bother with standards. Let’s use the first sloppy and inarticulate rubbish that comes to mind. Oh, wait – that’s what some people are doing already. How on earth did this headline get into the paper? ‘Balm’ is not a noun for a type of weather – it is a plant, an ointment or something that soothes, for example ‘balm for the soul’. A basic requirement for a headline is that it is in English. A principle of subbing is that you don’t make the reader do mental arithmetic. 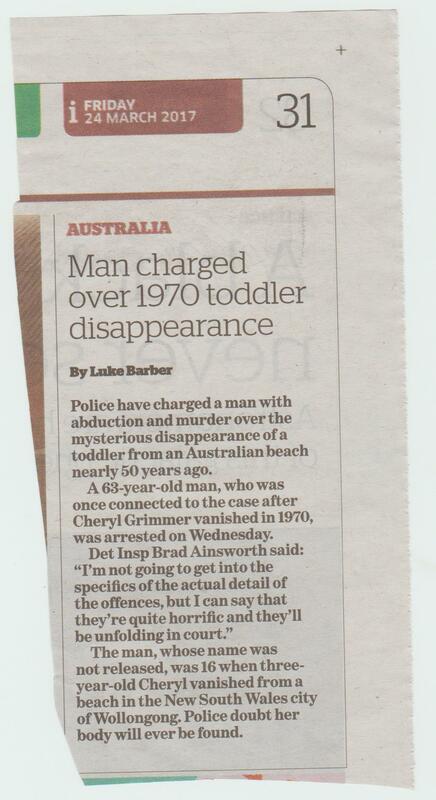 In this story both the headline and the second paragraph tell us the little girl vanished in 1970, but it is not until the seventh paragraph that we are told that this was 47 years ago. Yes, the reader could work it out, but he or she shouldn’t have to. 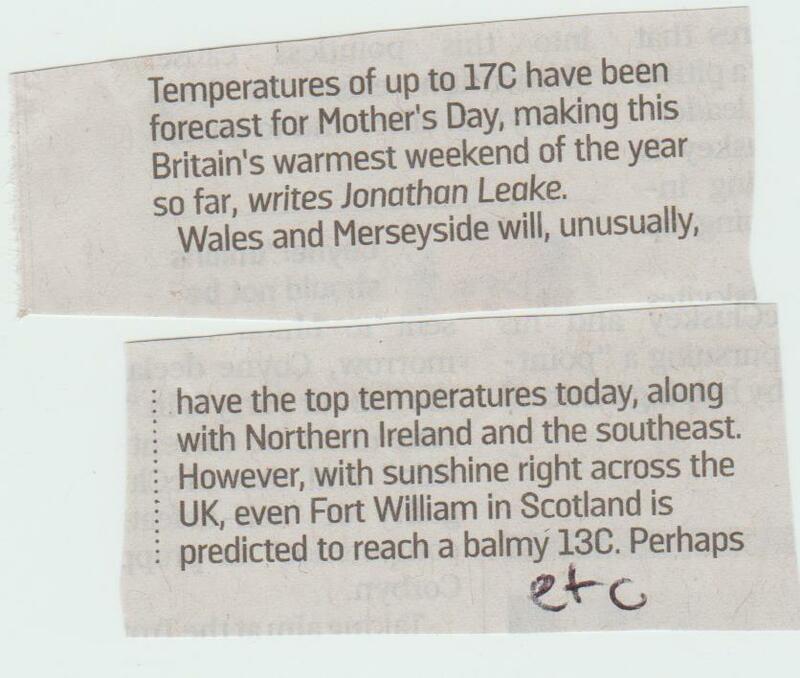 This is a much better way of doing it – the heading gives the date, the intro does the calculation. I would have put 47 years ago rather than nearly 50, but it’s good enough. However both stories have the fault of calling a child of three ‘a toddler’. This term should be reserved for children who have just started walking, which is usually around the one-year mark, give or take a few months. By three most children are confident and steady walkers. I would say ‘toddler’ should not be used for a child of more than two. 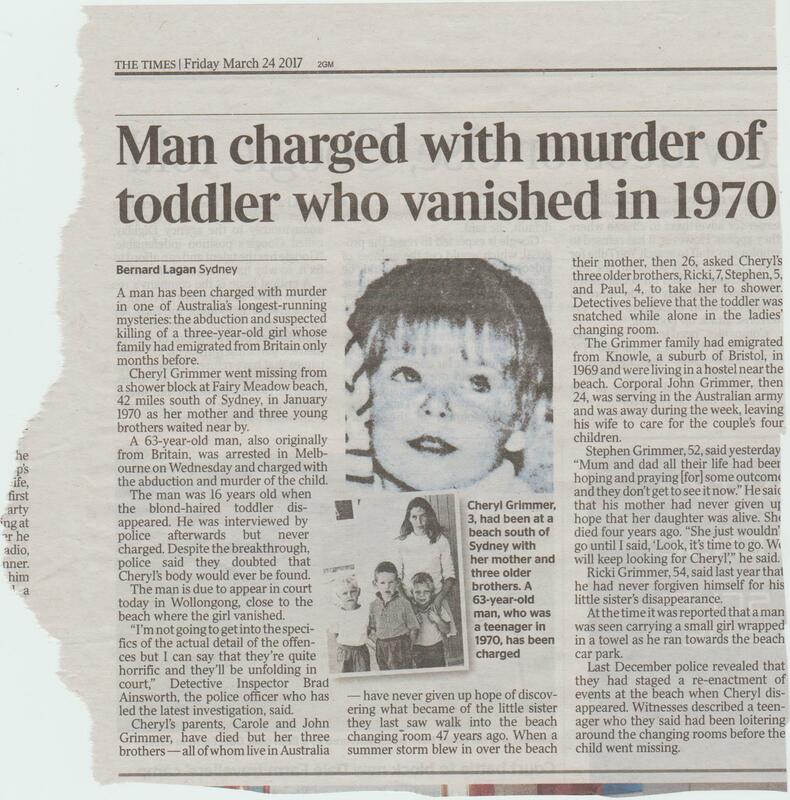 Another point is that the Times says ‘the blond-haired’ child. A female is blonde, not blond, and you don’t need to say ‘blonde-haired’, just ‘the blonde child’. Once again, birds lay eggs, which hatch. They are not ‘born’. 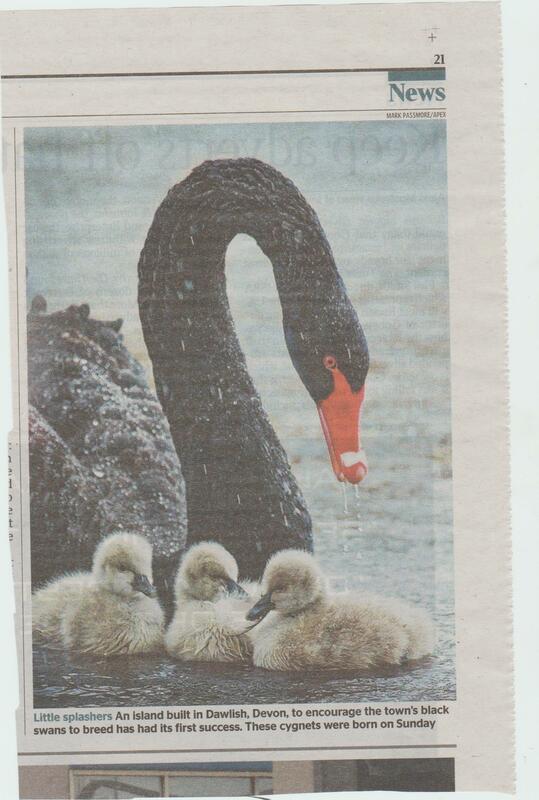 So this should say ‘These cygnets hatched on Saturday’. 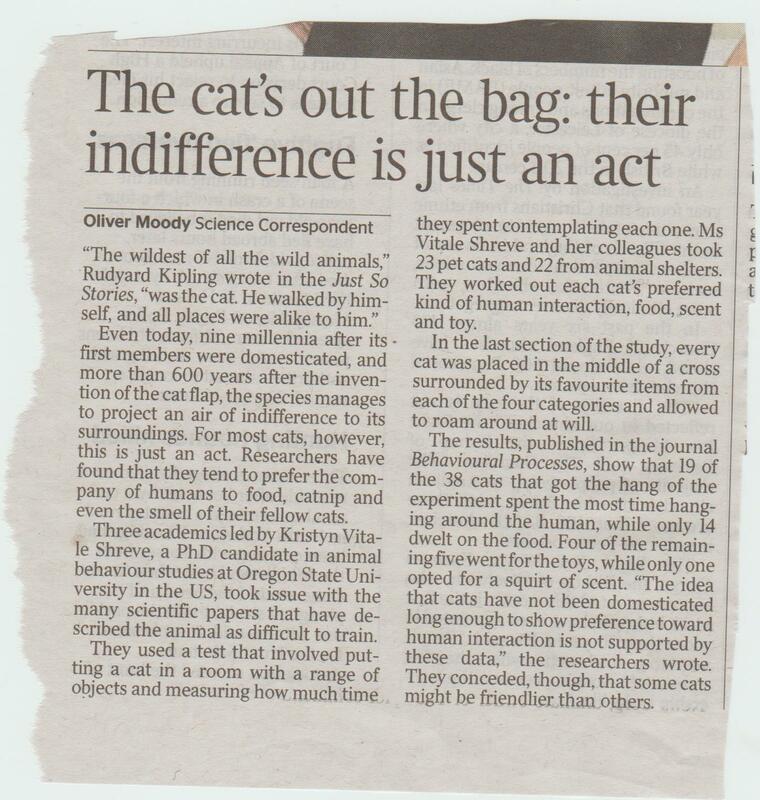 I have often found that journalists take a perverse pride in being ignorant about scientific and natural history matters. Most peculiar. 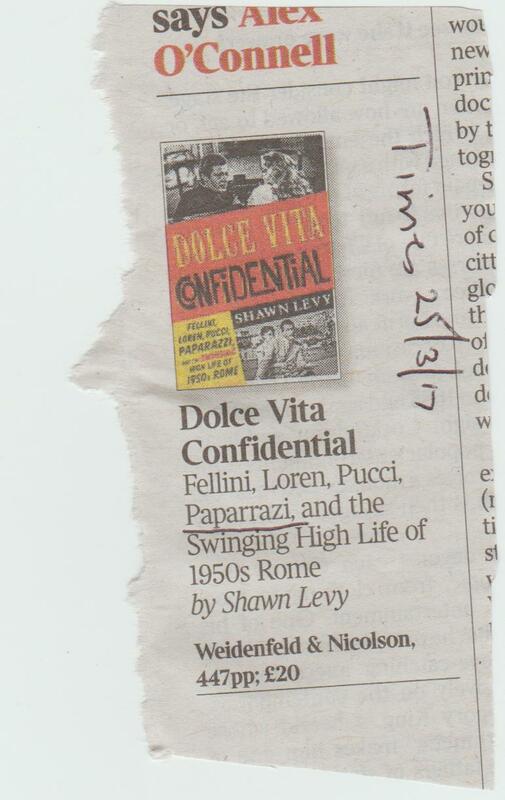 It’s unforgivable for a journalist to be unable to spell ‘paparazzi’. It is correct in the story, so all that was needed was to copy it. 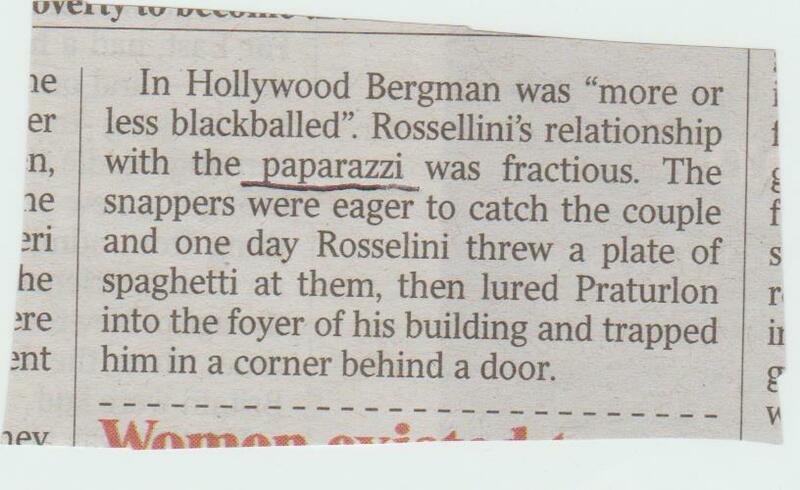 In this paragraph, although paparazzi is right, Rossellini is spelled correctly and incorrectly within the space of a few words. What a pathetic effort. 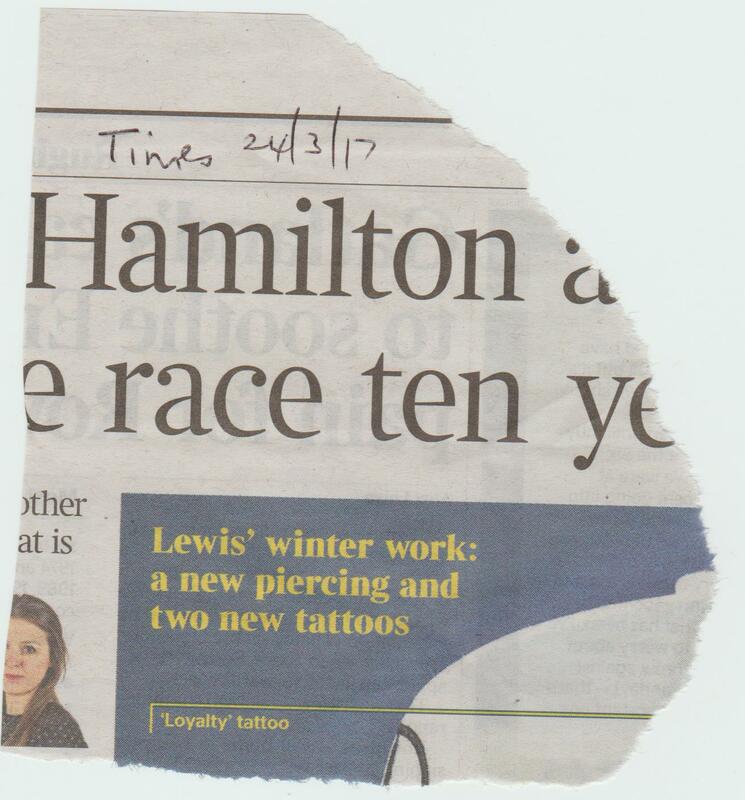 The possessive of a name ending in ‘s’ should have another ‘s’, so Lewis’s or Charles’s. (52 words) Even shorts like this can convey plenty of information. The obvious questions on being told that the couple are expecting a second child are ‘How old is the first child and is it a boy or a girl?’ The quote about being happy is not necessary. The surprise would be if they issued a statement saying they were not happy. 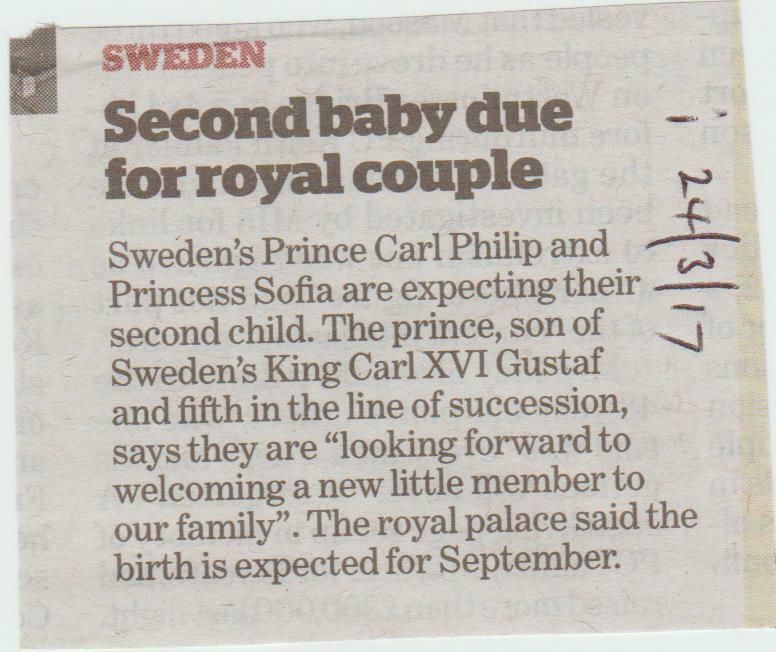 And ‘the birth is expected for September’ sounds like a poor translation from the Swedish. It is certainly not English.